A beautiful couple in love on the ice... on Valentine's Day! 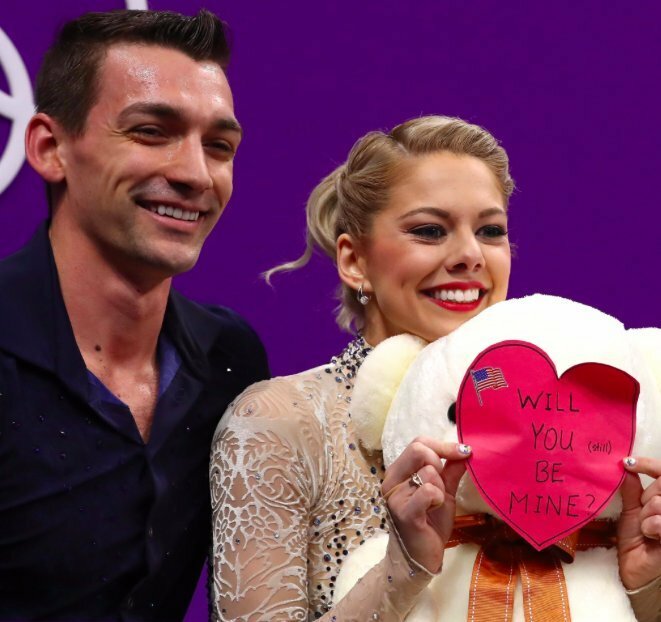 Alexa and Chris Knierim are a U.S. figure skating pair in the 2018 Olympics in PyeongChang. Not only are they a phenomenal figure skating pair, but they are also a married couple. On top of that, they are the first married ice skating pair to represent the United States since Ron and Nancy Luddington in 1998. Their amazing talent, incredible athleticism, and strong relationship are making everyone admire this beautiful couple. 1. They met through ice skating. 2. They've faced some tough challenges. Less than a year before the 2018 Olympics, Alexa Knierim was facing a life-threatening gastrointestinal disorder that could've prevented her from even living to see this year's Olympic games, let alone participate in them. 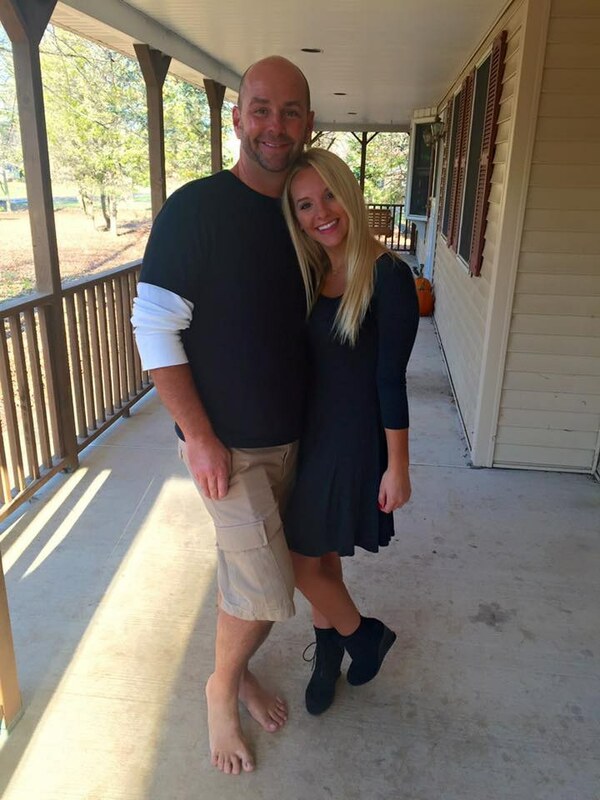 In addition, Chris Knierim has lost his father and his uncle in the past year, and Alexa has been there to support him. This couple is such a strong team because they have faced and overcome incredible challenges together, on and off the ice (source). 3. They want to glorify God through their talent. 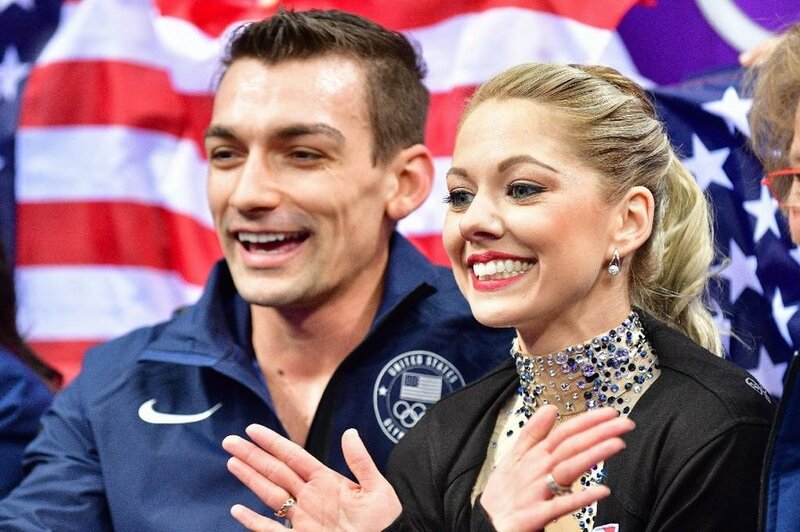 When Alexa and Chris Knierim qualified for the PyeongChang Olympics, they knew that without God, they could've never achieved. They simply want to glorify God through their story and their talent, regardless of how well they perform. 4. They take every success and failure with grace. The first pair from the U.S. to land a quad twist, an incredibly difficult lift in which Alexa spins in the air four times before being caught by Chris, their teamwork and talent truly shines on the ice. 6. They spent Valentine's Day together on the ice. How many people can say that they celebrated their Valentine's Day like this? And Chris even got Alexa an adorable teddy bear with a handwritten note. What a dream. 7. They are just SO cute together. I mean, how can you not love a pair that finishes each of their performances with a kiss? This could literally be the story line of the best chick flick ever made.